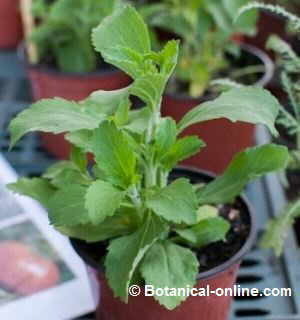 1.2 Why is oats plant so important? 1.4 Cultivation of oats in the world? 1.15 How to eat oats? 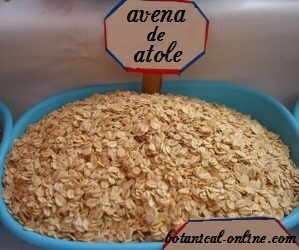 Oats (Avena sativa) is a plant of the Poaceae family. In fact, it is a cereal, like rice, wheat or corn. Traditionally oats has been used to feed animals, either to make or eat feed grain directly, which was really like and why which the Romans called it “aveo” meaning desire. Oats plant reaches five feet tall. Possesses lanceolate leaves up to about 4 cm long. The flowers appear in spikes, but most known are the grains ripen on the same stem. They reach 1.5 cm and have a fairly long and narrow, unlike the wheat that is more rounded. It comes from Europe, where you can still find it in the wild. Why is oats plant so important? Nutritionally, oatmeal is the cereal richest in protein and fiber – it contains fiber of the soluble and insoluble type, and has a large amount of vitamins and minerals such as phosphorus, magnesium, folic acid, potassium, iron and zinc. Its high nutritional value has turned oats into a restorative food, suitable for all types of diets, both for weight loss, for students, people with constipation, fatigue, stress, diabetes, heart disease, gastritis, fibromyalgia, etc. 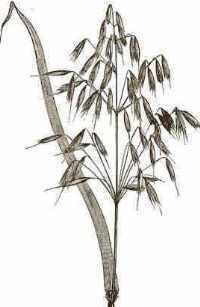 Illustration of an oats spike. Oats comes from Europe, where it can still be found in the wild. It is known that the cultivation of cereals is about 10,000 years old and references to this food are very old, since they appear in texts of historians, as when Pliny, a Roman historian of the first century AD, referred to the strength of the Germans and said they ate prepared with oatmeal. It was in the early twentieth century when this food began to be used as a food resource more widely, in the form of flakes or porridge, and gave rise to the immense variety of products derived from this cereal that we have today. It is also consumed in porridge, muesli, cookies, smoothies, etc. In recent times, oatmeal has been relaunched as an ideal product for health, as it is one of the most complete cereals, the richest in proteins, and with both soluble and insoluble fiber. It was one of the main components of the popular Dukan diet. Cultivation of oats in the world? Oats is cultivated in many parts of the world, being the central and northern Europe and North America countries, the countries where the crop is more abundant. The main producing countries are Russia, Canada, USA, Poland, Germany, Finland and Sweden. It is currently a cereal that is very valued for its food properties, to the point that in America it has become the most used, after corn. Although traditionally used oats for animal feed because of its richness in proteins, allowing them to get very powerful muscles and make great efforts, it is also suitable for human consumption. It is known that the cultivation of cereals is about 10,000 years ago and references to this food are very old as they appear in texts of historians, as when Pliny, a Roman historian of first century AD, referred to the strength of Germanic and said they ate preparations made with oatmeal. It was in the early twentieth century when the food began to be used more widely as a food source in the form of flakes or porridge and led to the wide variety of products derived from this crop, which we have today. The truth is that oats is that which contains more protein in cereals after wheat, which is very useful for the development of bones and other body tissues. 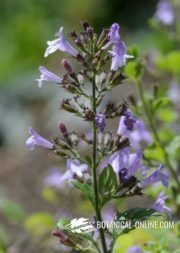 In addition to proteins, this plant is very rich in fat, turning to wheat, the majority of which were unsaturated. The real dietary revolution began in the 1970s, when several studies focused on whether the diet rich in fibers in African countries was responsible for the absence of diseases as common in the West as varicose veins, constipation, cholesterol or colon cancer. These studies produced a boom in consumption of oat bran, when Dr. Anderson, of the Kentucky School of Medicine, showed that fiber reduced the levels of bad cholesterol (LDL) and triglycerides and increased the good cholesterol (HDL). Dr. Anderson verified these effects satisfactorily in his own person: With the habitual consumption of oats, he saw how after a few weeks of consuming this cereal with abundance, his cholesterol dropped from 285 to 175. 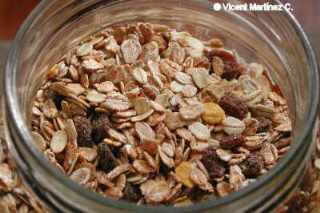 Photo of muesli with oats and raisins. 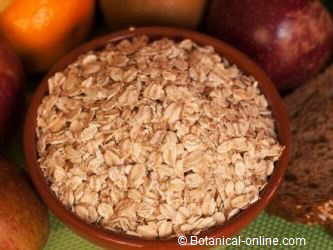 The muesli is an energetic food and very rich in fibers. Taking it helps to avoid constipation and brings satiety. Oats is the only cereal that provides soluble and insoluble fibers. Most cereals contain only insoluble fiber. Oatmeal also contains soluble fiber, called beta-glucans. On the one hand, the insoluble fiber it contains facilitates and accelerates intestinal transit and prevents constipation. While it passes through the intestinal tract, the oat fibers capture bile, cholesterol and residues, which are subsequently excreted, helping to purify and clean the digestive system. The soluble fiber of oats, beta-glucans, reduces cholesterol by hindering intestinal absorption. Scientific studies have confirmed these properties of beta-glucans: It has been shown that the daily intake of 3 grams of beta-glucans (about 3 servings of oats) reduces cholesterol levels. It is especially recommended for people with heart problems, hypertension or poor circulation to help reduce the risk of cardiovascular accidents associated with excessive cholesterol. It is necessary not to forget that, besides soluble fiber, its content in omega-6 fatty acids, also help reduce blood cholesterol. It contains many amino acids such as leucine, isoleucine and threonine, necessary for infant growth with methionine which also helps to remove cholesterol by making the liver produce more lecithin, and allows the body to remove heavy materials. Photo of atole oatmeal in a market. The atole or atol is a preparation with oats and boiled milk, which is taken at breakfast. Oats have a prebiotic effect by stimulating the growth of healthy bacteria in the intestine. It is very beneficial for people with hemorrhoids to increase the volume of stools and facilitate their expulsion. These properties are increased when combining oats with yogurt or foods with probiotics, that is, foods containing healthy bacteria to “seed” a healthy intestinal microbiota, which will protect the digestive membranes and stimulate the properties of the intestinal flora, including that of increasing immunity. But the advantages of fiber do not end here. This type of fiber has the property of absorbing particles that are not very convenient for the organism, as contaminants that can cause cancer in the intestines, and estrogens, which seem to have a determining influence on the appearance of breast cancer or premenstrual syndrome. . 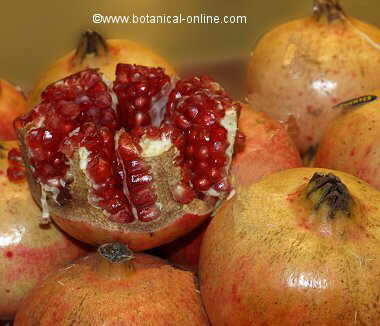 This same fiber is a good resource for pampering the digestive mucous membranes. 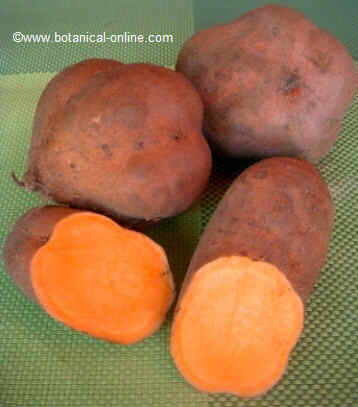 The carbohydrates provide their demulcent properties, exerting a softening and protective role of the intestinal walls. 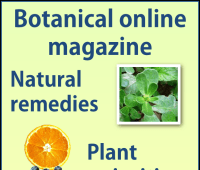 It is very helpful to treat diseases of the digestive system, such as heartburn, stomach pain, gastritis, digestive ulcers or multiple problems of the intestines, such as irritable bowel syndrome, or especially those people prone to colic. Oats has now become one of the key pieces of plans to lose weight. In a diet of losing weight, the fiber of oats is very effective, and even more if we use oat bran, by increasing the dose of fiber, which is the husk that covers the grain. This food can strengthen the properties to lose weight, laxatives and cholesterol reducers of some foods with which it combines very well, especially with soups, to form a puree with the broth, which in addition to its benefits to reduce cholesterol, helps quench hunger. Do not forget that, in addition to its fiber, the content of omega-6 fatty acids also help to lower blood cholesterol. Carbohydrates in oats are slowly absorbed into the body. This eliminates the sensation of hunger during long periods without being constantly eating, which is very useful in treatment of obesity or those who wish to feel full without being always “biting” or taking other foods that do not allow lowering the weight. This same property may be useful in reducing the need to eat that many women during PMS, eliminating other less desirable foods such as sweets or cakes. On the other hand the slow absorption allows for greater control of sugar levels, which determines that this cereal can be eaten by people with diabetes without having sudden sugar spikes. There have been studies that have shown that regular use of oatmeal can reduce much of the insulin dose. Besides vitamins of group B, oats contains minerals like iron, calcium, zinc, silica, iodine and phosphorus. Oats are rich in iron, a mineral that the body needs to transport oxygen to body cells. A deficiency of iron can cause anemia and consequently physical weakness and a so characteristic paleness in the skin. Constipation can sometimes be because of lack of iron. It would be prudent to eat this cereal at certain times of life when most needed can be done, as occurs in women when they present with heavy menstrual bleeding. 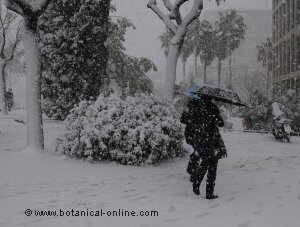 Silica is very suitable for hair care, because it can prevent the baldness. The importance of zinc in the immune system is crucial because it helps prevent many diseases by infectious as influenza. 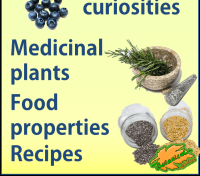 Among other properties, it promotes healing and is one of the minerals needed to keep your eyes in good condition. It is well known the role of calcium in the proper maintenance of bones and teeth and preventing osteoporosis, a disease that makes bones weaker and more prone to breakage and which mainly affects older people. Oats surpasses wheat in calcium, so it should be taken when children are growing normally and during pregnancy, as well as by older people. Iodine from oats makes the thyroid work and prevents the formation of goitre. Porridge is eaten mainly in the form of rolled oats that can be added to yogurt or milk in the morning, being a good tonic. Oats are especially used to make porridge and, along with fruits, is the basic component of muesli, a dish that was very popular because a Swiss physician named Bircher-Berner usually gave it to breakfast to their patients. Can also be used also in the form of refined flour or whole wheat (the latter is more convenient) to develop varied dishes. If the flour is integral must be soaked overnight. Composition of oats by each 100 gr. Oat milk is a type of vegetable drink, made from oat grains. 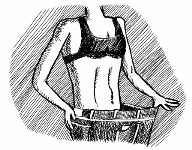 The oatmeal drink does not weigh on the stomach and it is easy to digest, as it is poor in protein. It provides easy assimilating carbohydrates and monounsaturated fats, which provide lasting energy to the body. – Are oats good for children?